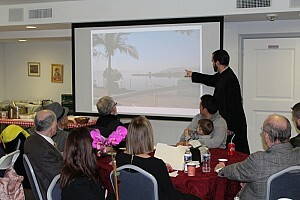 On Sunday, February 10, 2019, following the Divine Liturgy, an invigorating six-week lecture series on the Orthodox Christian Theology in its Historical Context began. This series is offered by Rev. 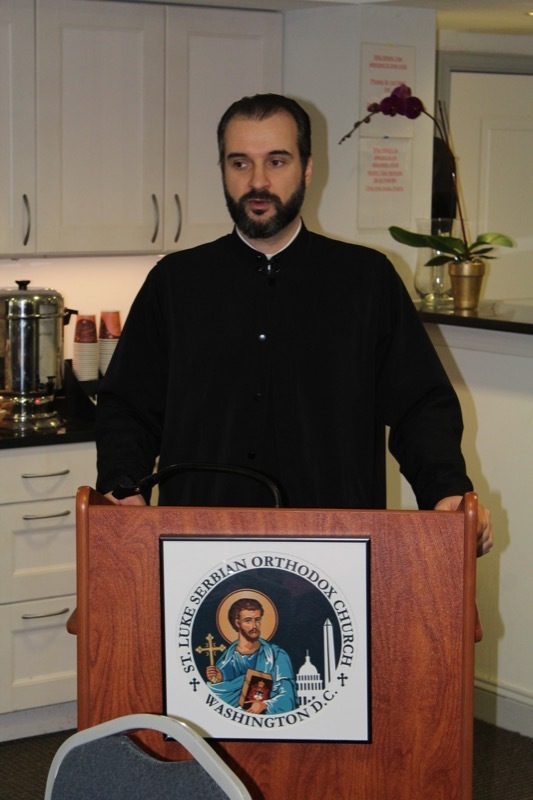 Dr. Vasilije Vranic, parish priest of St. Luke Serbian Orthodox Church in Washington, DC/Potomac, MD. Each Sunday from February 10 through March 17, 2019, Fr. Vasilije will provide in-depth talks on several topics relating to our Orthodox Christian Theology. The first lecture in this series covered the New Testament: Jesus, the Gospels, Pauline, and Later New Testament Writings, diving deep into the entire gamut of Gospel and Epistolary lessons we faithful hear during Divine Liturgies. This thought-provoking discussion moved to questions by those in attendance on the history and location of where these sacred writings occurred during the early years after our Lord’s time on earth. By the conclusion of this first lecture, all in attendance were enriched with new knowledge of the New Testament writings. There are still five more sections to this lecture series. If you are in the Washington area or interested to learn more about our Orthodox Christian Theology, we warmly welcome you to join us! For more information, please visit our website.